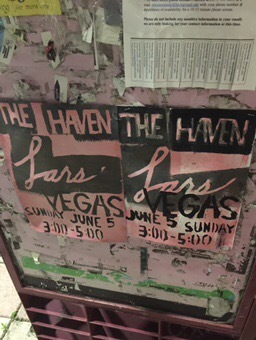 Ace JP band Lars Vegas perform another afternoon concert at The Haven this Sunday. Proceeds kick off at 3pm so it’s the perfect plan for a spot of Brunch then live music! Or….catch the band and then stay for Dinner! OR indulge in our afternoon menu! In other words, we’ve got you covered. Spread the word, we can keep doing this if PEOPLE COME!!! So far so good!